The rate of people dying from bowel cancer in the UK has plummeted by more than 30% in the past 20 years, according to new figures released by Cancer Research UK. Most patients are aged 50 or over when diagnosed with bowel cancer. Around half of these cases are preventable. One of the best ways to reduce the risk of the disease is to try and maintain a healthy lifestyle by cutting down on red and processed meat, keeping a healthy weight, not smoking and keeping active. In 2014, almost 41,300 people were diagnosed with bowel cancer of whom 22,844 were men and 18,421 women. Latest figures show that 8,613 men and 7,152 women died from bowel cancer in 2015. 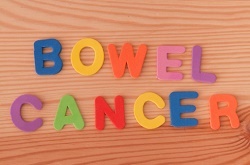 While deaths from the disease continue to decline bowel cancer is still the second most common cause of cancer death in the UK accounting for 10% of all cancer deaths.